Pressure Safety Valves are to be used in the Boiler, Pressure Vessles, Tanks, Pipelines, Pumps, Compressors etc. When the pressure is esceeding the limit automatically valve will open and maintain correct pressure in the capital equipment. Our Pressure Safety Valve is exemplary for its design engineering that allows superb directional control of the system fluids. The Valve has a solid, sturdy body and is ideal for installation in a rugged environment. It is quality approved and available at competitive prices from Chennai, Tamil Nadu, India. 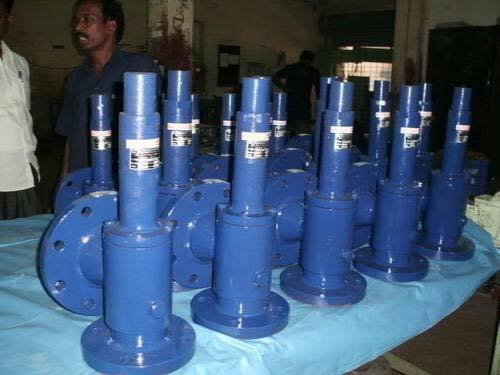 We have been widely appreciated by our customers for the engineering efforts put into the designs of this supplied valve.